Emely Fortiz is a freshman at Trinity Washington University, majoring in Psychology and minoring in Business Administration. Outside of the office, Emely works with Reading Partners, tutoring children from the District, or participating in Psychology Club at school. Emely is currently affiliated with St.Mark's Catholic Evangelist Church and is attending the bible study classes that the church offers. 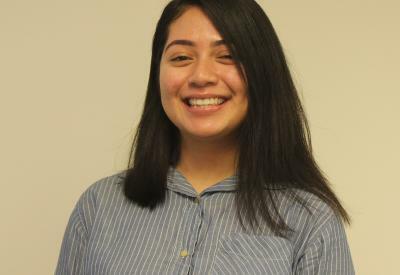 When she graduates, Emely wants to give back to the community she was raised in by establishing her own non-profit organization that focuses on the mental health of minorities in D.C..